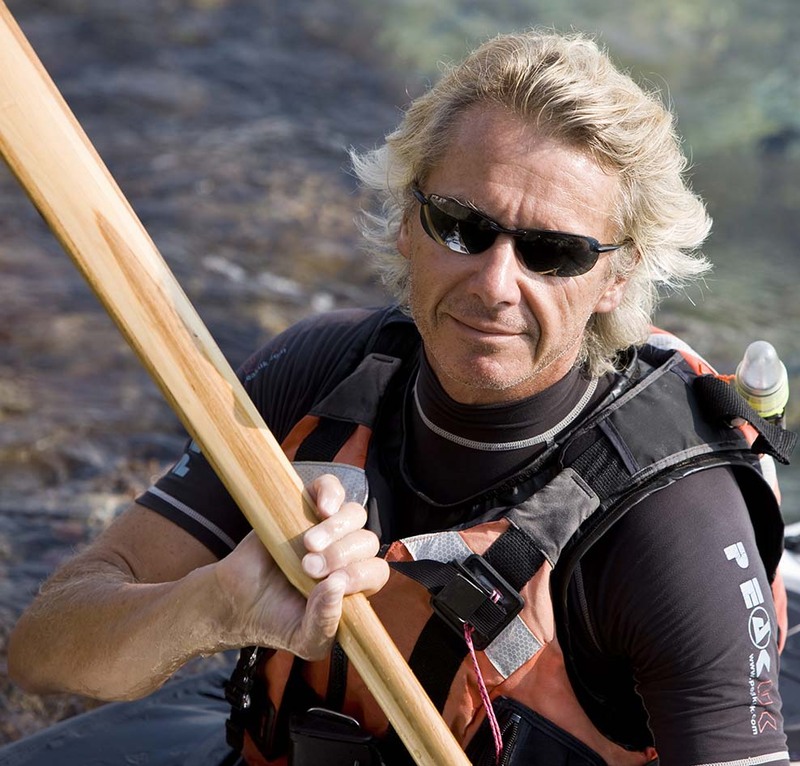 Guido started sea kayaking in 1974, and has paddled along the coasts of New Zealand, the Kattegat, Skagerrak, the Solent, the Scilly Isles, the English Channel and the Bristol Channel (UK), Sardinia, Corsica (F), Sicily, Elba and many of the smaller Italian islands. He is the first kayaker to have single-handedly circumnavigated the Italian peninsula from Trieste to Ventimiglia (2011), without any support, covering 2009 miles over a total of 119 days, including 94 days of paddling and 25 days on shore due to bad weather conditions. In his blog rounditalycruise.it he published images and video of the Italian coastline, shot on a daily basis. Guido holds a Sea Kayak FICK Coach, FICK Guide, FICK Maestro, FICK Maestro Assessor and FICK Paddle-Ability Maestro Certificate (Italian Canoe and Kayak Federation). He holds a BC 4 Star Leader and ISKGA Advanced Guide (International Sea Kayak Guide Association) certificate. Guido has coached and guided since 1975 and speaks italian, french, english and german. Began kayaking at the age of thirteen, during a trip to Belgium, when he paddled down the Lesse in the Ardennes. Paddled with the Milan Canoe Club in the seventies and independently from the eighties onwards the most difficult whitewater in the Alps (Anza, Boite, Clarée, Diveria, Dora di Val Veny, Dora di Val Ferret, Enns, Gail, Giona, Guil, Guisanne, Großarlbach, Hinterrhein, Inn, Lassing, Maggia, Moesa, Mastallone, Noce, Orco, Rosanna, Salza, Salzach, Sanna, Sesia, Sarca di Val di Genova, Sermenza, Sessera, Soça (Isonzo), Strona, Ubaye, Verzasca, etc), several of which are “first descend”. 1976-2006 professional sailor in the IOR – IMS – IRC and Maxi classes. Took part in 21 Italian and 16 World Championships as navigator and sail trimmer. 1980-81: navigator, helmsman and sail trimmer on board the Rolly Go during the Whitbread Round the Word Race (28,000 miles in 4 legs), now known as the Volvo Ocean Race. Awarded the Silver Medal for Athletics by CONI (Italian National Olympic Committee) in 1985. Guido holds the italian Offshore Yachtmaster Certificate, he’s Sailing Instructor at the largest sailing school in Italy, Centro Velico Caprera, for all levels of instruction, holds the italian and british VHF SR certificate.